Alexander McQueen was discovered by Isabella Blow, without her, his path to becoming a British treasure through his creative fashion designs, may not have happened. Chanel, Dior, YSL, DVF, Vivienne Westwood, the list can go on and on – they all have one thing in common, they all had to start from the beginning. For those today seeking a new venture, that is the starting point; the beginning is about waiting for someone to give you a first order or perhaps a connection with someone or something that can just get you off the mark. And so you see when I read this article “Meet Fashion’s Fairy Godmother” from Sunday’s YOU magazine, I was really inspired by the work of Debra Hepburn and her husband Julian. Both successful professionals who have set up an online business youngbritishdesigners.com – and it basically does what it says on the tin! 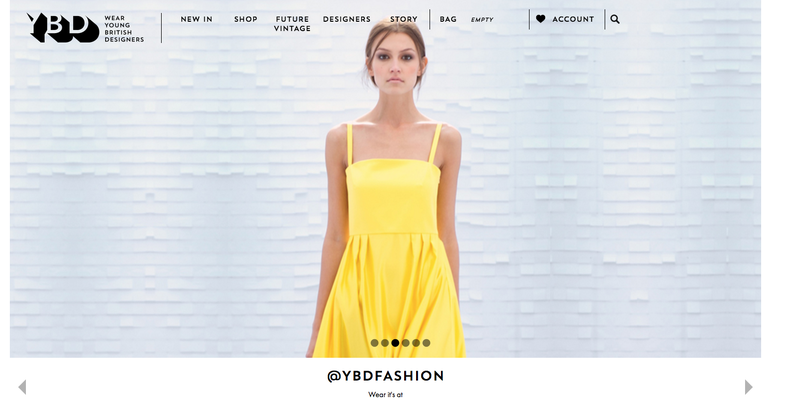 Debra and Julian have invested in young British designers, buying their entire first collections and selling them online. How fantastic is that?! 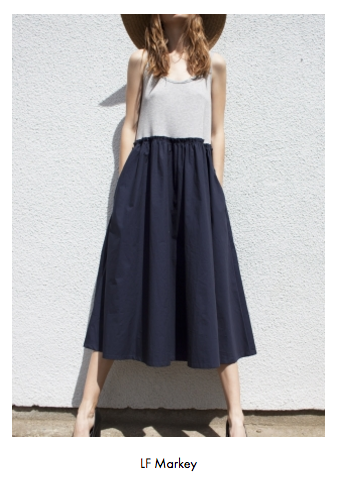 And so it got me thinking as to why YOU the consumer should consider buying into this concept, because it’s not as cheap as the High Street and these designers do not have a name for themselves, yet. Your buying into British design – need I say more?! And with that, the concern of bumping into someone wearing the same as you – is unlikely to happen! It’s like a piece of art – your buying into the artist in their infancy and one day, possibly, your investment could be worth more, e.g. vintage Chanel, Dior, YSL and so on! Purchasing for the first time, I would personally opt for an accessory – it’s an opportunity to experience their online buying process without the hassle of thinking “will it fit”. An accessory is always an investment and something you can style with numerous outfits and so making your investment stretch. I’ve had a really good look around the site and seen some great pieces, here are a few that I am loving! 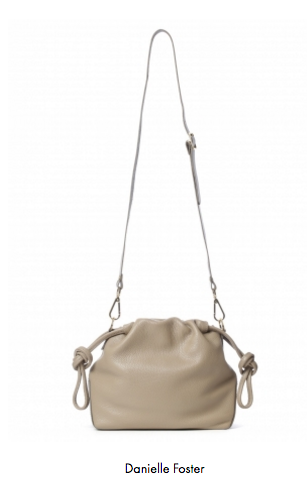 I really like this mini drawstring bag by Danielle Foster, named Bella, and it sounds extremely lush as it’s 100% Italian Leather! This bell sleeved sweater by Charlie May is quite frankly fabulous! 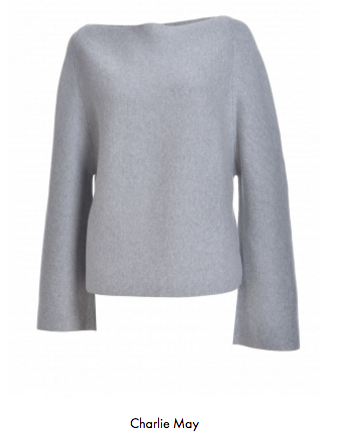 Grey in colour and a mix of 50% Merino wool and 50% Cotton it looks so easy to wear and whilst deigned here in England it’s made in Italy, that’s sounds so glam. Rockins’ super skinny black scarf has been inspired by designs of the 1920’s and is made from 100% Silk Crepe de Chine, this is is a simple yet glamorous accessory to add to your wardrobe. 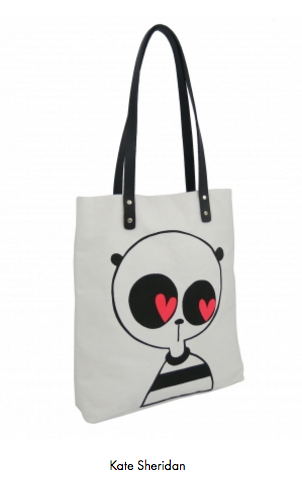 I really hope my niece Ellie doesn’t see this next one, she loves Pandas and she loves shopping – therefore making this Heart Eyed Panda Tote a must have! A collaboration between illustrator Will Broome and designer Kate Sheridan. I simply love it! When it came to the dresses, it was hard to pick just one! I would say there is something for everyone, and a great place to start if your looking for something unique to wear to a wedding. 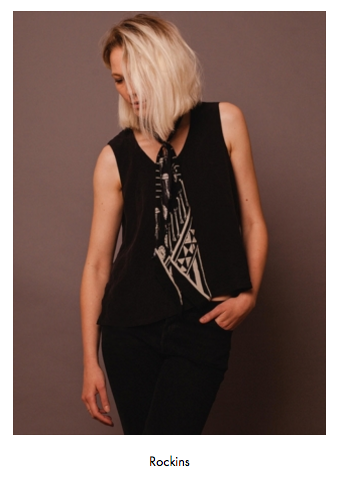 Thinking about cost, I don’t think you can go wrong with this effortless William Vest Top Dress by LF Markey, 100% Cotton.